The 17th International Congress of Dietetics will take place in the city of Granada (Spain) on 7, 8, 9, 10 September 2016. We expect a participation of more than 3000 dietitians and nutritionists. This will be a wonderful and multicultural encounter not only from a humanistic point of view but also because it will make possible to exchange professional experiences among dietitians from all around the world. The congress in Spain will cover new challenges for dietitians and would like to make them aware that with their day-to-day work they can immensely contribute to bequeath a better world and a better planet to the future generations. A sustainable diet is the key to take care of our planet: while being respectful with the environment, it also enables us to support local farmers, fishermen, cattlemen and food producers from our most nearby geographical surroundings. We, dietitians, have a very crucial role in advising and educating people towards a healthy and economic nutrition that should also be sustainable. It ´s time to support each other! 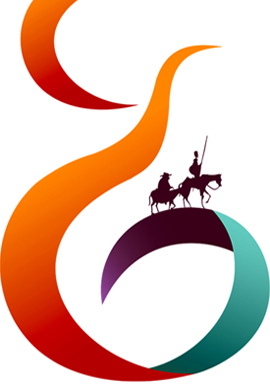 To illustrate the congress we have chosen the literary characters of Don Quixote and Sancho Panza from "El Quixote" by Miguel de Cervantes, one of the most important works of literature in the history of the Spanish Culture. Last but not least I would like to suggest you to take part of a first sustainable experience: TWIN A SPANISH DIETITIAN! If you twin a dietitian living in Spain, he / she will get in contact with you so you can be twins during the next years. This way he will support you with any questions you may have, will help you to organize your visit to Granada and will be your host during the days the Congress will take place in September 2016. We encourage you to enjoy a new experience, become a twin, click HERE. I am sure it will be very enriching, Twin a Spanish dietitian! We hope to see you all in Spain, it will be a great pleasure for us to welcome you in Granada in 2016. 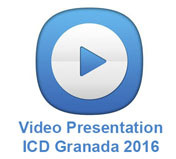 We invite you to watch the video presentation of the 2016 ICD Granada, see you in Granada! Click HERE!.